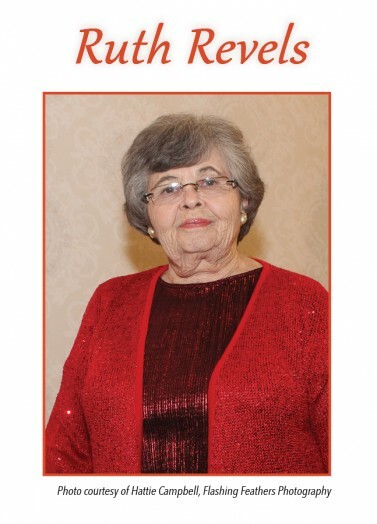 Mrs. Ruth Locklear Revels, Chairwoman of the NC Commission of Indian Affairs, passed away suddenly on Monday, March 14 at her home in Greensboro, North Carolina. Mrs. Revels was appointed in July 2005 to the Commission of Indian Affairs by the Guilford Native American Association in Greensboro, and was appointed by Governor Pat McCrory as Chairwoman of the Commission in September 2013. Her husband, the late Lonnie Revels Sr., also served as Chairman of the Commission and was appointed to that position by Governor Jim Martin. Originally from Robeson County, Mrs. Revels was very proud of her American Indian heritage and was a proudly enrolled member of the Lumbee Tribe of North Carolina. Mrs. Revels was a 1958 graduate of the University of North Carolina at Pembroke. Mrs. Revels was a long-time educator and a staunch advocate for American Indians and Indian issues in North Carolina. As Chairwoman of the Commission, Mrs. Revels was the lead advocate on Indian Affairs and oversaw the quarterly meetings of the NC Commission of Indian Affairs, where reports were received from committees and staff, and where American Indian issues were formally addressed by state government’s tribal leaders. Through the Commission she managed a budget of over $4 million which is designed to address the needs of American Indian communities across North Carolina. As Chairwoman, she oversaw the admiration of state tribal recognition procedures, sent recommendations to the governor for appointments to the NC Indian Housing Authority, and processed recommendations for appointments to the State Advisory Council on Indian Education. Mrs. Revels chaired the most recent meeting of the NC Commission of Indian Affairs on March 10 in Raleigh, held in conjunction with the 41st Annual North Carolina Indian Unity Conference, March 10-12. Her dedication shone-through as she was one of the last people to leave the conference following the closing pow-wow. Mrs. Revels and her husband Lonnie moved from Robeson County to the Greensboro area in 1963, seeking better economic and educational opportunities for their family. In Greensboro they established Arrowhead Graphics, a local printing company which is still in business and is now operated by their son, Bill Revels. The Revels became actively engaged in community work and were instrumental in the establishment and tenure of the Guilford Native American Association, an urban American Indian Center in Greensboro. Under the leadership of Mrs. Revels, the Association administered programs and provided much needed services for American Indians in the Triad and other natives relocating from reservations and tribal communities in search of better opportunities. Mrs. Revels eventually became the Executive Director of the Association and founded the Guilford Native American Art Gallery, which presents and markets artwork from American Indian artists across North Carolina. In addition, Mrs. Revels served on the Board of Directors for the Untied Tribes of North Carolina, Inc., the NC Indian Economic Development Initiative, Inc., and numerous other non-profits, committees and workgroups.